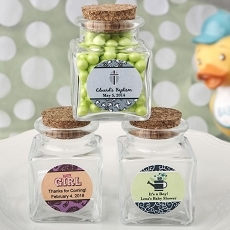 These classy favor jars can be personalized for a christening, baptism, communion or baby shower with a metallic sticker of your choice. 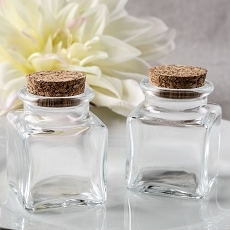 The side of the bottle is the perfect place to stick your personalized metallic gold or metallic silver label with white or black print. 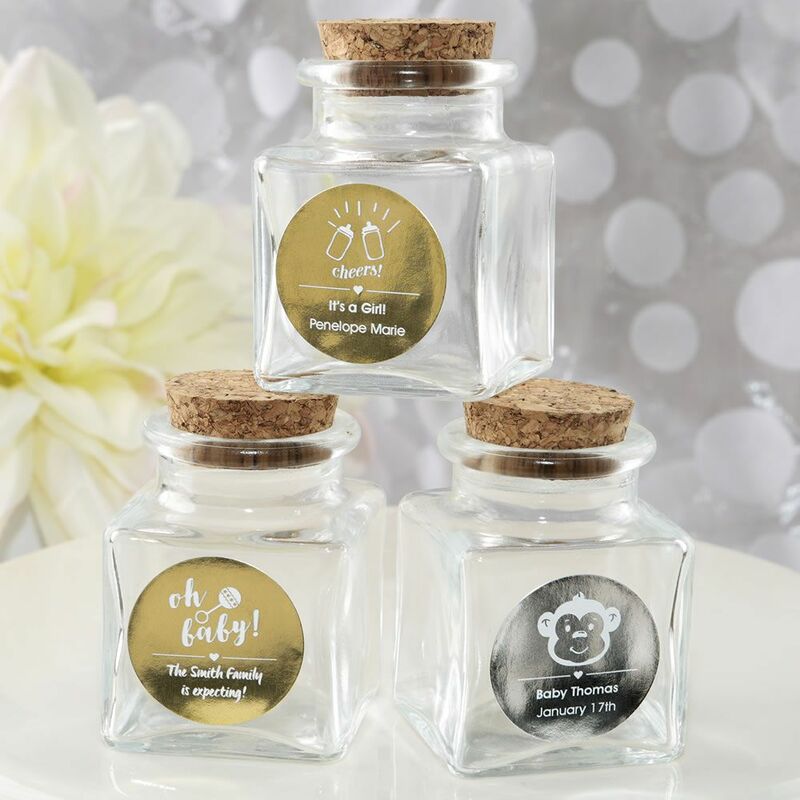 Choose from a huge selection of themes and designs. Use our unique Design Tool to create your own design and preview your creation online.